My name is Jordan Bowditch, and I’m a super senior at SDSU (that’s right-couldn’t get enough). I’m majoring in Business Marketing with a specialization in Integrated Marketing Communications, and I work in the university Marketing and Communications department on campus. During my time at SDSU I’ve had the privilege of partaking in a wide array of activities, including many of those that will take place this month. My affinity for SDSU has reached an all-time high and as I wrap-up my last semester as a student, I’m excited to share my SDSU Month experiences with you. To kick off SDSU Month, hundreds of Aztec enthusiasts suited up in their red and black attire last Friday at a BYU pre-game celebration at Horton Square by NBC San Diego studios. I was at the event and can say the energy was truly contagious. Also taking place during SDSU Month is the Aztec for Life Photo Contest where you can enter to win an iPad. In addition to the various events taking place, we encourage you to take advantage of the special promotions provided by our SDSU Month Benefit Partners. I’m personally headed to Sail Ho Golf Club this week to play a two-for one round with a friend. 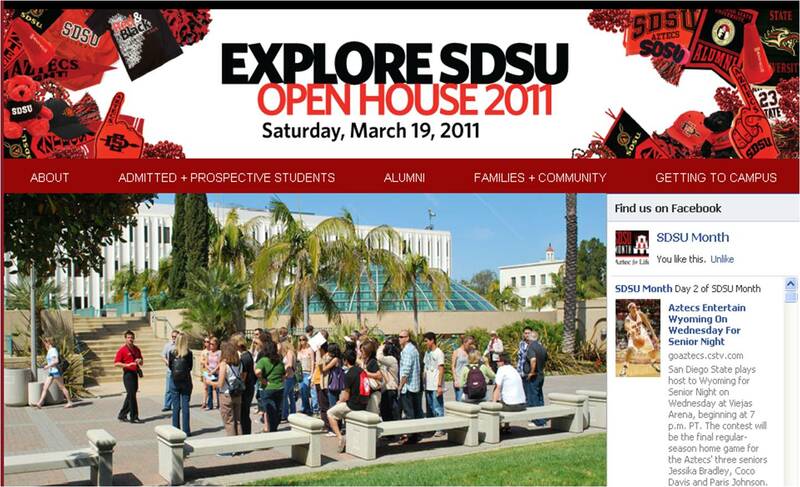 For a full list of discounts offered for SDSU Month, check out http://sdsumonth.com/promotions.html. Put your game face on and don’t miss out on this opportunity to experience SDSU Month! Follow SDSU Month on Twitter, and become a Fan on Facebook!